Oak Brook, Illinois - April 18, 2017 - Millennium Trust Company®, a leading provider of custody solutions for alternatives, investment accounts and retirement funds, completed the first quarter of 2017 with continued growth as the total assets under custody grew to $22.9 billion in more than 536,000 custodial accounts. Today, Millennium also launches its new brand identity and tagline -“Above and Beyond CustodySM”. The new brand identity highlights Millennium’s role as a trusted ally to its clients, and reflects the continued growth and evolution of its business. Millennium’s new brand identity was developed based on extensive client and stakeholder research, its deep-rooted history of delivering innovative solutions as well as the evolving business needs in the marketplace. “Last year, we spent time looking at our business and how we position ourselves for future growth. We also spent time listening to our clients to determine what is most important to them. What stood out most is that our clients view us as an ally – someone they can count on to help find solutions to their custody needs. Also, they most value our trusted expertise, exceptional service and straightforward access to custody solutions,” said Gary Anetsberger, CEO. As a reflection of that growth and change, Millennium has renamed its primary business lines. Retirement Services, formerly the Rollover Solutions Group, continues to be led by Managing Director Terry Dunne. The new name more accurately communicates the robust services offered beyond rollover solutions, including uncashed checks, plan termination services, payroll deducted IRAs and more. Custody Services, formerly the Alternative Solutions Group, will continue to be spearheaded by Managing Director Tom Daley. This group’s primary solutions include Fund Custody (formerly Private Fund Custody) and Investor Services. Custody Services’ focus remains on addressing the continued demand from institutions, advisors and individuals for more investment options in both traditional and alternative assets to build diversified portfolios. We are excited to reveal our new brand identity to more accurately communicate who we are, and what we are about: a custody specialist that our clients can count on to do what it takes—and always more than expected,” said Mary Hackbarth, Director of Marketing. “Many of the elements, such as the logo, look similar; but what has evolved is the messaging, which is centered on the outstanding service, straightforward access and wealth of experience that we provide each of our clients,” added Hackbarth. The new brand design system is now live across digital, social and print properties. The Retirement Services group completed the first quarter on a high note, with more than 500,000 automatic rollover accounts on the books, and agreements with over 47,000 plan sponsors. The Custody Services group added another $1.7 billion in fund assets in the first quarter, bringing the total to $13.4 billion under custody. 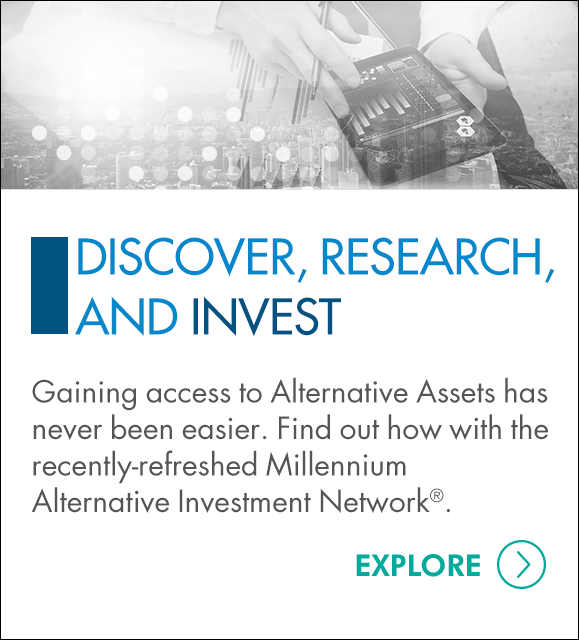 During the first quarter, two alternative investment platforms joined the Millennium Alternative Investment Network® (MAIN®): Fundrise, a platform for low-fee, commercial real estate investing, and Gemini Alternative Funds, LLC Galaxy Plus platform, which serves as a Managed Account Platform for futures strategies as well as servicing traditional hedge fund strategies. These two additions to MAIN bring the total of participating companies to 17. The end of the first quarter also marked the one-year anniversary of Gary Anetsberger assuming the helm as CEO of Millennium Trust Company, LLC in March of 2016. Anetsberger joined the company in 2002, when Millennium had under 30 employees, 5,000 accounts, and $3.5 million annual revenue. "Throughout Millennium’s 17 year history, we’ve played an important role in our clients' lives. Today, we're evolving our brand to express this important role – our purpose – to be the trusted ally to help our clients navigate their changing worlds,” concluded Anetsberger. Millennium Trust Company is a leading provider of custody solutions for alternatives, investment accounts and retirement funds, providing choice above and beyond traditional investments. Millennium Trust performs the duties of a directed custodian, and, as such, does not provide any investment, tax or legal advice. 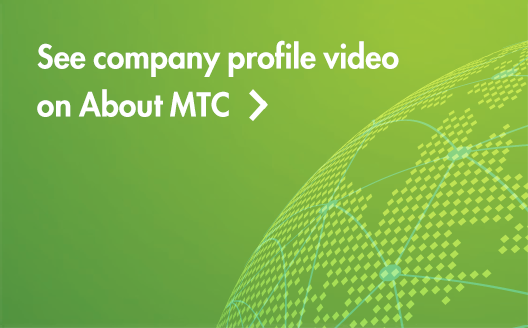 For more information about Millennium Trust Company visit: mtrustcompany.com.